Everything Claire wants seems to be beyond her reach... After losing her mother to cancer and suffering a miscarriage soon after, Claire Ferguson numbs the pain with alcohol and pills, and wonders if her own life is worth living. Adopted at birth, Claire is convinced she has some unknown genetic flaw that may have been the cause of her miscarriage. She must find a way to deal with the guilt she harbors. But exoneration will come with a price. With her marriage in trouble and her father refusing to answer any questions about her adoption, Claire begins the search for her birth mother. For the first time in her life, she really wants to know where she came from. But what if the woman who gave her life doesn't want to be found? For all those who have loved, experienced loss, and lived life's roller-coaster Heartrending and immensely satisfying. I couldn't put it down. --ANE MULLIGAN, Sr. editor, Novel Rocket, http://www.novelrocket.com. Explores the many facets of adoption...with gut-wrenching honesty and yet tenderness. -BETH K. VOGT, author of Wish You Were Here and Catch a Falling Star. A luminous story of forgiveness that will take hold of your heart and lift its hidden burdens. -ROSSLYN ELLIOTT, award-winning author of Fairer Than Morning and Sweeter than Birdsong. An emotionally mesmerizing drama of the relationships that define and mold a family. -SUE HARRISON, international bestselling author of Mother Earth, Father Sky. 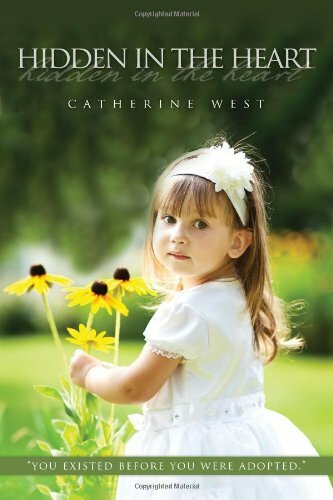 Don't miss Catherine West's Yesterday's Tomorrow: 2011 INSPY Award Winner (Romance), Finalist, 2012 Reader's Favorite Awards, ACFW Book Club Selection, August 2011.